Brazilian Indians are protesting against the country’s political elite’s threats to break up their lands and limit their rights. 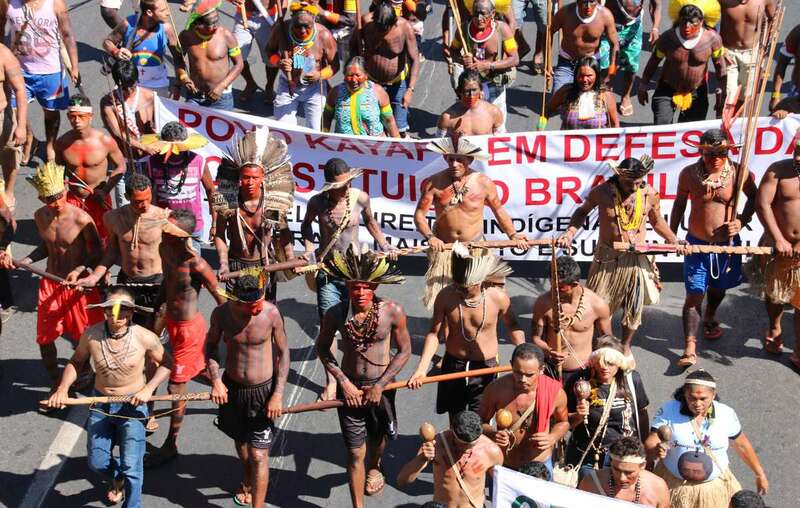 As the impeachment of President Dilma Rousseff moves forward, interim President Michel Temer and his newly appointed ministers are attempting to put a stop to the protection of indigenous lands. President Rousseff has been criticized for mapping out fewer indigenous territories than any of her predecessors since the end of the military dictatorship. But Rousseff and her colleagues signed several land protection decrees in the weeks leading up to her suspension from office. 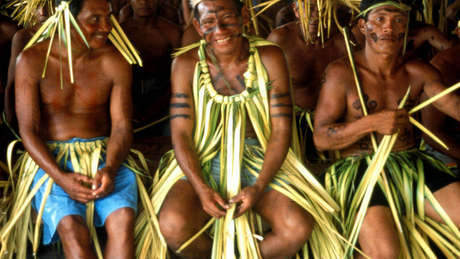 These included the land of the uncontacted Kawahiva, one of the most vulnerable peoples on the planet, following Survival’s global campaign, one Guarani territory which had been stolen from the Indians leaving them in appalling conditions, and of the Avá Canoeiro, Arara, Mura and Munduruku tribes. Brazil’s interim Justice Minister, Alexandre de Moraes, has since announced a plan to revise the recent land decrees, provoking outrage nationwide. If implemented, PEC 215 could make future land demarcations almost impossible, reduce the size of existing territories and open them up to mining, oil and gas projects, roads, military bases, and other developments which could be fatal for indigenous peoples. The interim Agriculture Minister, Blairo Maggi, is known as the “Soybean King”. His family has made billions from the plundering of forests and indigenous land. He has spoken out against the recognition of indigenous territories and in favor of dams and other projects which violate indigenous rights. Hundreds of thousands of Indians across the country depend on their land for their survival. The Brazilian constitution and international law guarantee the protection of their land for their exclusive use, but the laws are being violated, and some tribes are facing genocide. Survival’s “Stop Brazil’s Genocide” campaign, ahead of this summer’s Rio Olympics, is calling on Brazil’s government to stop these potentially fatal legal changes, and to implement the order to fully protect the land of the uncontacted Kawahiva Indians, to prevent their annihilation.